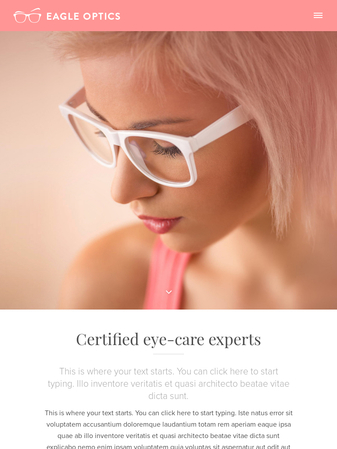 This soft pastel template is great for opticians, jewelry stores or fashion boutiques. Your logo will stand out in the left-side menu. You can add any number of pages to your website.